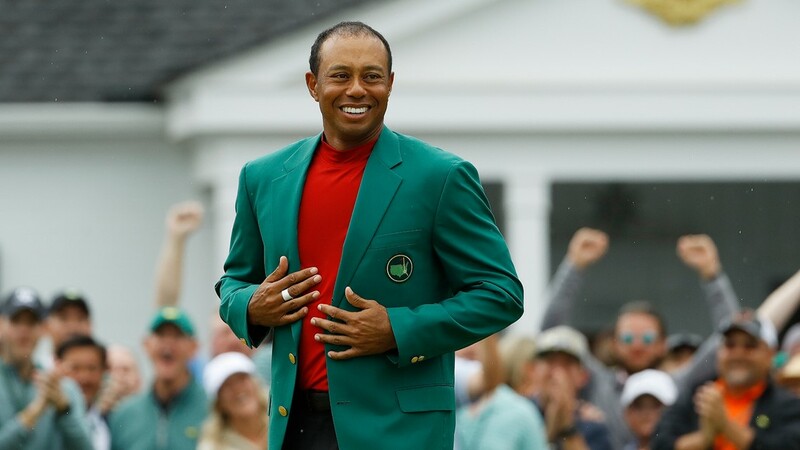 Woods serves as the youngest-ever winner of The Masters (21 in 1997) ... and the tournament's second-oldest champion (43 in 2019). SKINNY: Let's begin with a moment of levity, namely Tiger's seemingly implausible knock-in from the deep rough at the 17th hole. When viewing the replays, this shot should have gone 10-15 feet past the hole, putting Woods in a precarious position. Instead, the ball came out hot ... but had the proper eyes to find the bottom of the cup. 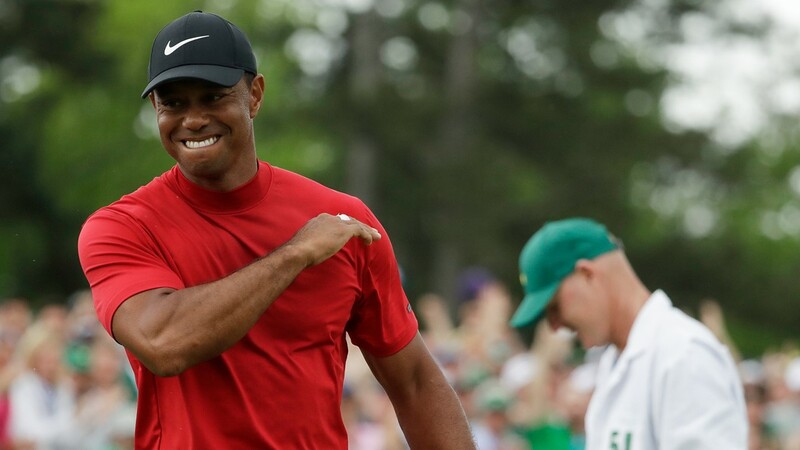 The best thing about this clip: Woods' priceless reaction of smiling wide and burying his face in a hat after making the shot, as if he were almost embarrassed by the result. SKINNY: It's one thing to shoot 12-under for a major tournament, en route to collecting another U.S. Open trophy for an already crowded mantle. It's quite another to be the only golfer breaking par for the week ... and winning by 15 shots. Pebble Beach might have been at its nasty peak for the 2000 tournament, but that enhanced difficulty didn't apply to Woods, whose absurd array of knock-down shots (amid stiff crosswinds), gravity-defining drives and creative chip shots devastated a star-studded field of eager competitors. How daunting was Pebble Beach that week? Only 10 other golfers posted an overall score of +7 or lower. As major victories go, this might have been Woods' piece de reistance. 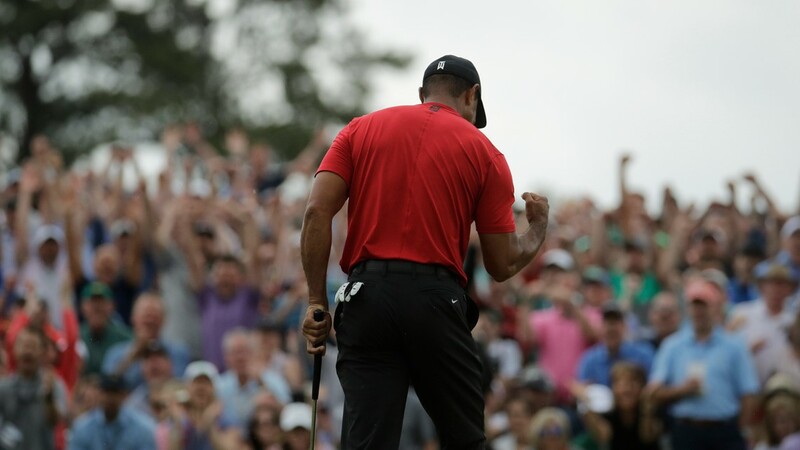 SKINNY: We have a 2-for-1 with this inclusion, pairing Tiger Woods' incredible tee shot from the 16th hole (Round 4) ... and Woods' visceral response to busting his 11-year drought of claiming a major title. 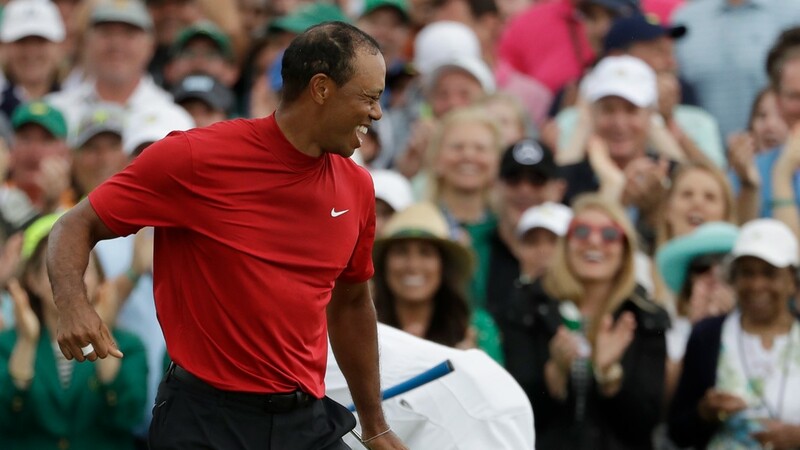 Here's another thing to celebrate: Thanks to Sunday's come-from-behind victory, Woods won't have to field the following question again: "Why have you never won a major ... when trailing after 54 holes?" SKINNY: We have a real tear-jerker here. 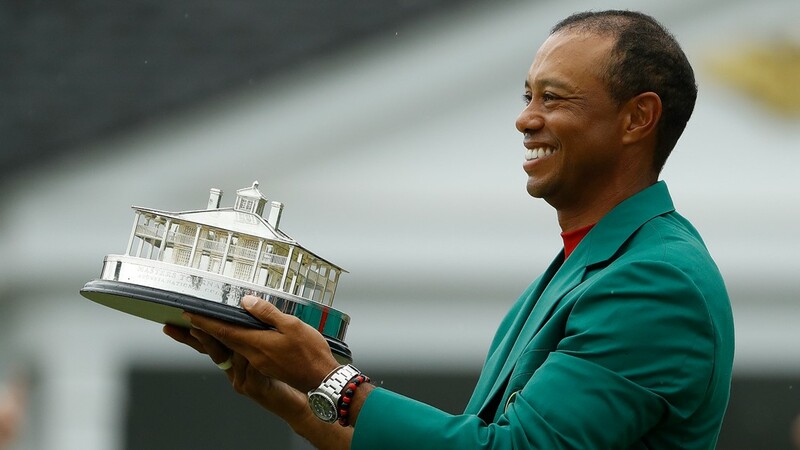 Two months after the death of Earl Woods, Tiger rolled to the British Open title at Royal Liverpool. There wasn't much Sunday drama on the tourney's last day, with Woods owning a comfortable advantage (2-3 strokes) for much of the final round. 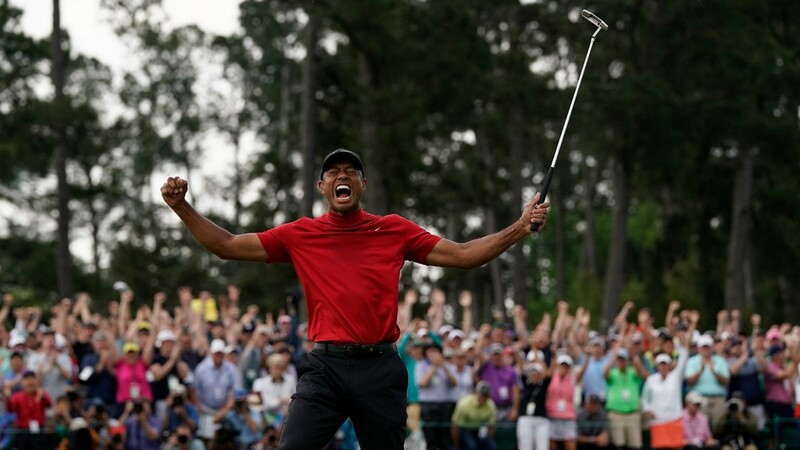 However, the greatness of the clip lies with Tiger's equally joyous and sad reaction to earning his first major title since his father's passing. SKINNY: Say hello to the only countdown highlight that doesn't involve a major tournament. 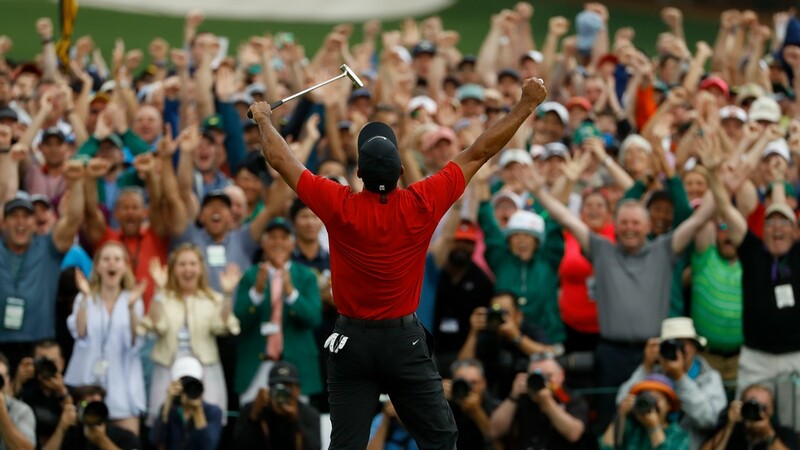 Two decades ago, the traditionally raucous crowd at Phoenix's stadium-style course challenged the 22-year-old Woods to shoot for the pin on a straight-forward par-3. And sure enough, Woods raised the bar for all time ... by draining his shot on the fly! SKINNY: Jack Nicklaus might be the all-time leader in major victories (18), but The Bear never experienced the surreal high of serving as the reigning champion to all four majors at the same time. This honor went to Woods early in the century. After taking home the trophies for the 2000 U.S. Open, 2000 Open Championship and 2000 PGA Championship, the iconic golfer earned the 2001 Masters title the following spring. 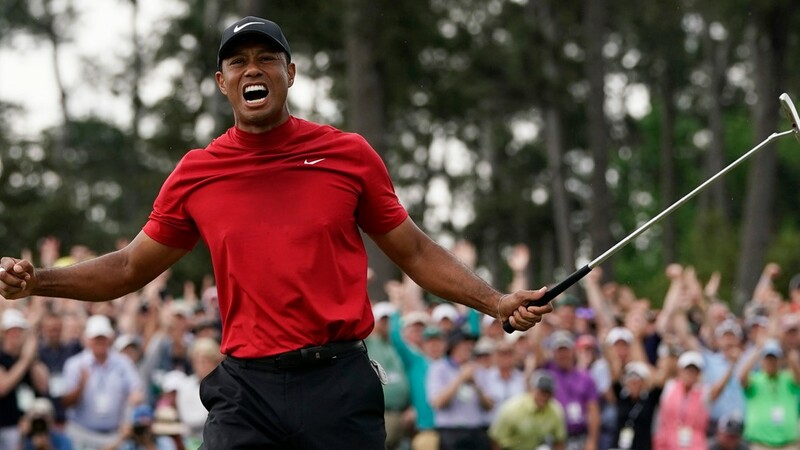 It wasn't a traditional Grand Slam ... but it had the cooler nickname regardless – Tiger Slam. 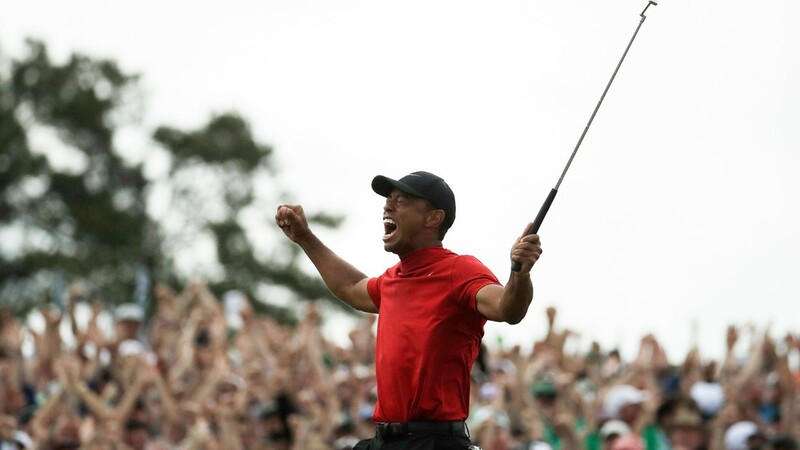 SKINNY: Golfers with aching backs, sore Achilles tendons and painful knee tears typically don't win major events. 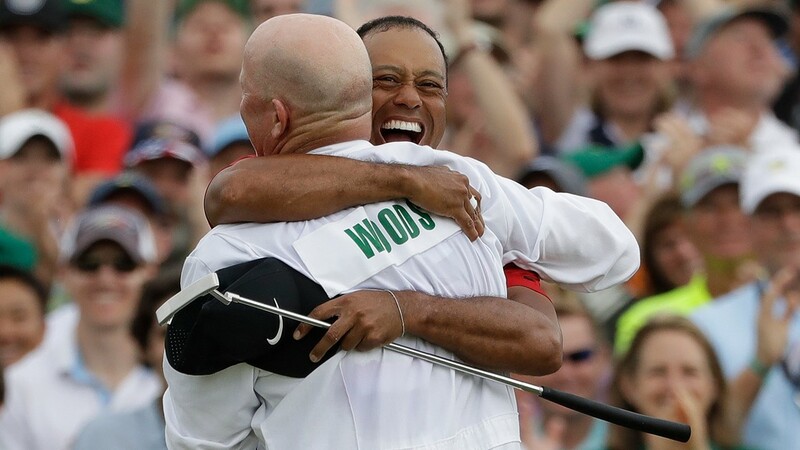 And yet, here stood Woods at the 72nd hole of the 2008 U.S. Open, needing a final birdie putt to force an 18-hole playoff with Rocco Mediate. 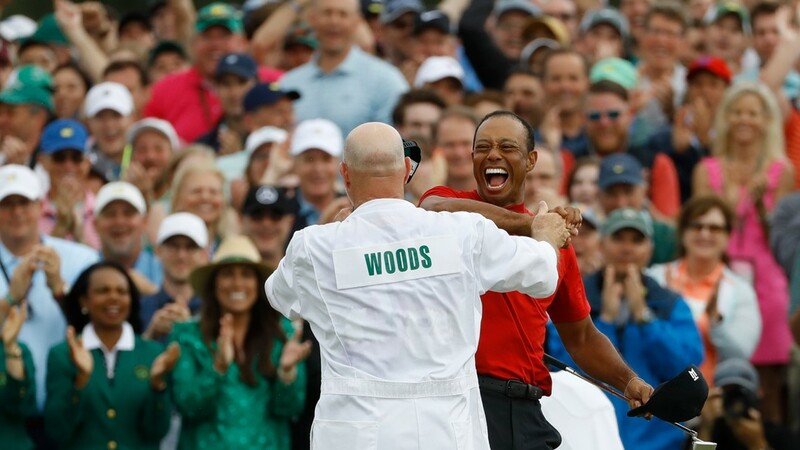 For those with long memories, Woods fell to his knees a few times during this tournament, the result of putting too much pressure on his balky knees and back. But during crunch time, Woods buried the most pressure-packed putt of his decorated career ... and it's not even close. SKINNY: Bob May might only represent a tiny footnote in golf history, but for one day in 2000, May pushed the sport's biggest name to the brink of exasperation. You know how Woods has a reputation for being too robotic on the golf course? 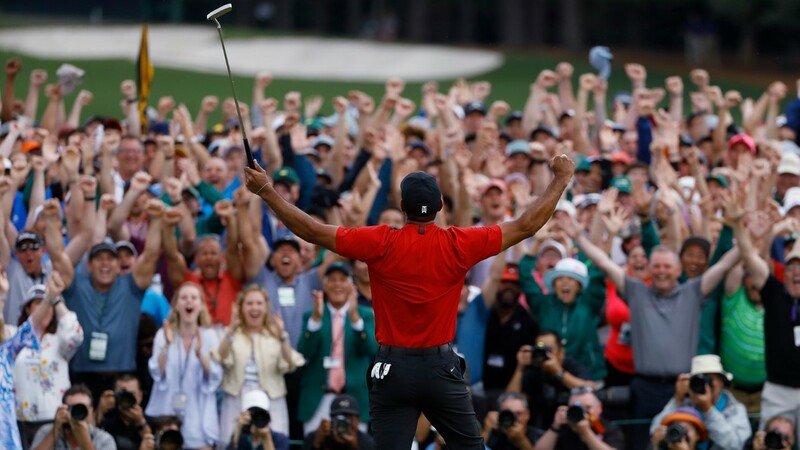 Well, this wasn't the case during the four-hole playoff with May; and Tiger's exuberance was there for all to see ... after running down a 25-foot putt which needed one more revolution to find the cup. Tiger's momentum-building plan on the putt: Chase ... point ... and roll! 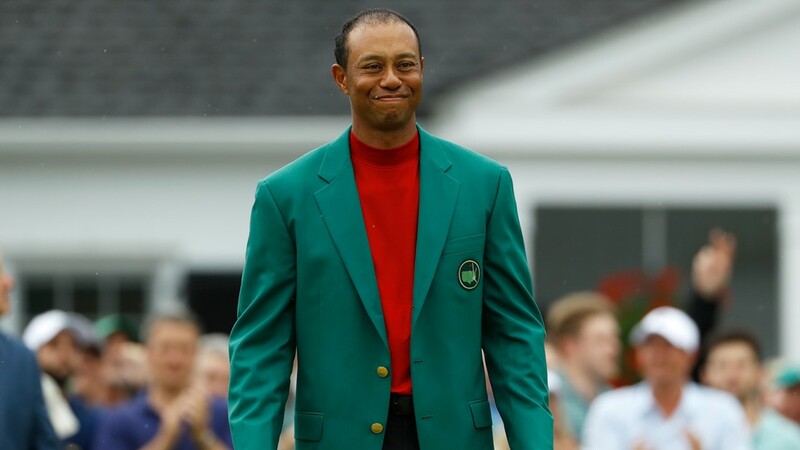 SKINNY: The sport of golf was forever changed in 1997, when Woods became the youngest winner in Masters history (age 21). 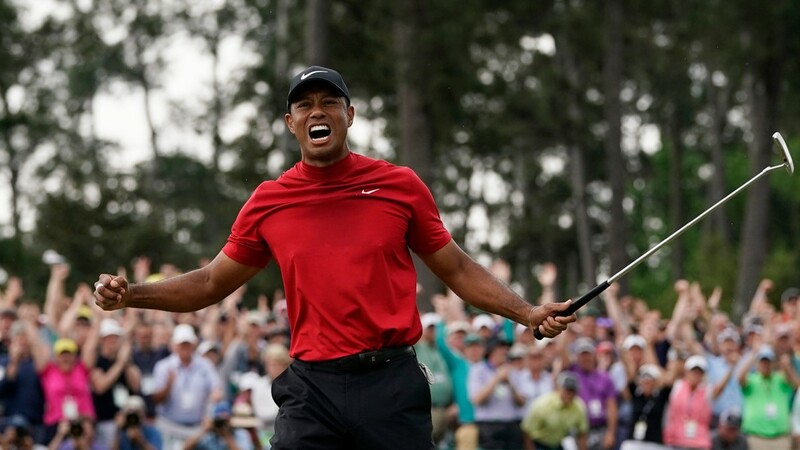 a) Woods finished at 18-under for the week, a Masters record that would eventually be shared with Jordan Spieth in 2015.
b) Tiger brought Augusta National to its knees on that Sunday, winning by 12 strokes. Not bad for a guy who was 4-over at some point during the opening round. 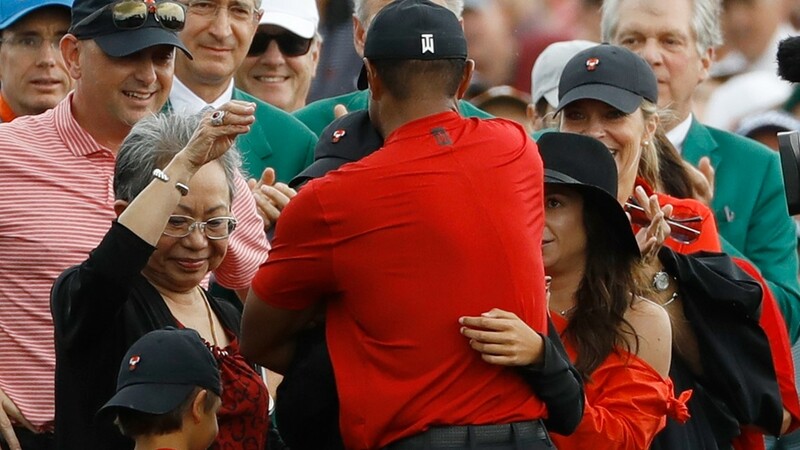 c) We'll always remember the long embrace between Tiger and his father (Earl Woods), easily the weekend's most seminal moment. "In your LIFE .... have you ever seen something so great?" Frankly, Uncle Verne ... not really. a) It's easily Woods' most famous single shot in majors play. b) Nike couldn't have staged a better promotion for its golf line. While Woods' ball slowly trickled toward the hole, after a head-scratching start ... the last image before paydirt involved the omnipresent Nike swoosh logo.